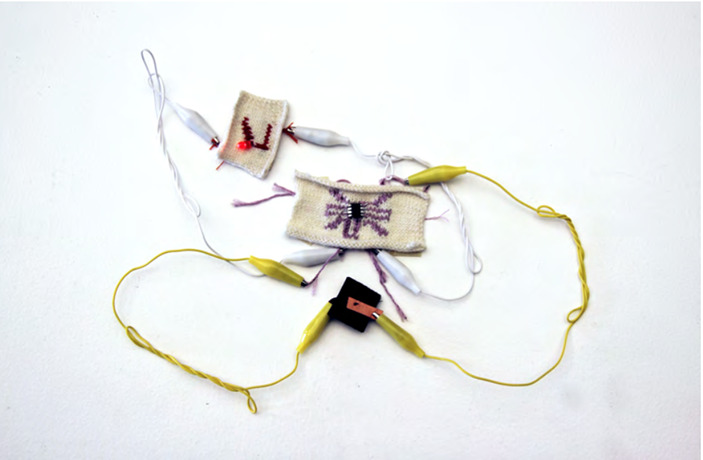 This project aims to create a working process for making a knitted circuit board. 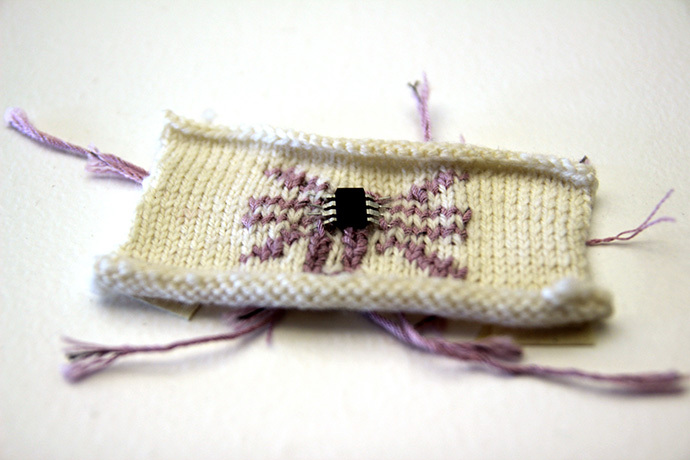 By combining traditional methods of intarsia color knitting using conductive and nonconductive materials, traces can be created for an ATtiny 85 microcontroller. 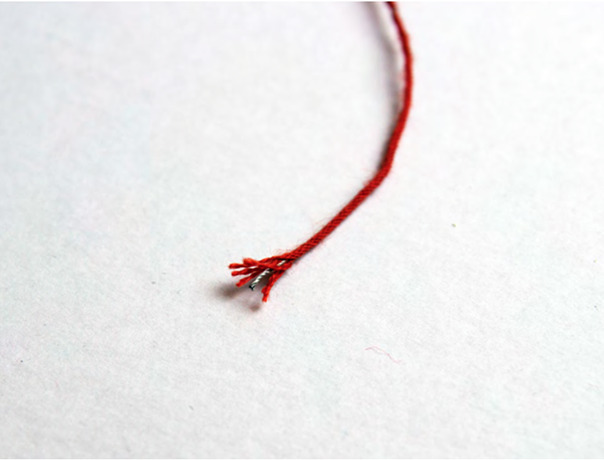 An insulated conductive yarn was made using a modified rope machine. By investigating and creating a working methodology, this process can lead to explorations in more complicated knitted circuit boards or large-scale productions of this process.